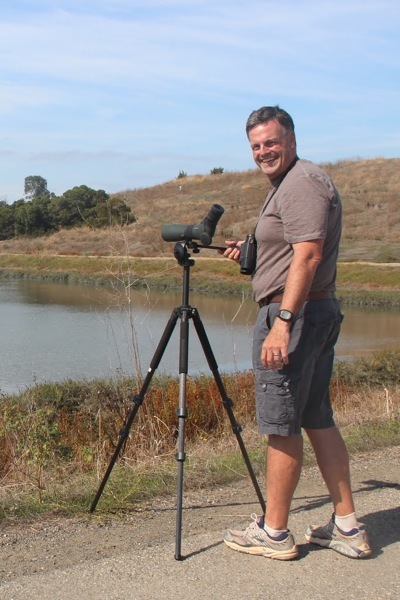 If you have a stereotype of a birder, Menlo Park resident Rich Ferrick doesn’t fit the bill. Neither socially awkward nor nerdy, Rich is nevertheless a huge birding enthusiast who hangs out when he can at Bedwell Bayfront Park in Menlo Park, where we joined him recently for a preview into the best birding of the year — late fall and winter. You can learn more about the Park’s wintering birds with on Saturday, Nov. 12, from 2:30 to 4:30 pm on a tour guided by the Friends of Bedwell Bayfront Park. Rich, who has lived in Menlo for the past eight years, grew up in Massachusetts and always found biology one of his favorite subjects. But it wasn’t until he took a trip to Costa Rica about 15 years ago that he got interested in birds. That he lives close to Bedwell Bayfront Park allows him to see about 200 bird species a year. “The best viewing time is in the winter when you have the most diversity,” he says. 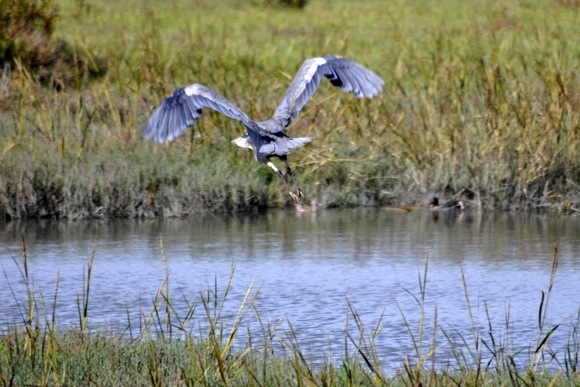 Interested in getting in on the birding action at Menlo’s local park? Here’s a checklist of some of the common birds seen at Bedwell Bayfront Park. Nice article and good bird photos. This is my favorite time of the year at Bedwell Bayfront Park! Nice article and photos. Friends of Bedwell Bayfront Park are at the park the 2nd Sat. of each (winter) month to help anyone see and learn about birds. Next one will be Nov 12 from 2.30-4.30 PM. Great article about a wonderful local person!